27-inch 7.4 cu.ft. 9-Cycle Front-Load Electric Dryer in White The DV7000 electric dryer features a large 7.4 cu.ft. capacity, which fits up to three baskets of laundry per wash. Sensor Dry detects moisture levels and adjusts drying times automatically. Unless explicitly stated otherwise, all washers and dryers are sold individually, not as sets, and all accessories such as pedestals and stacking kits are sold separately. 27-inch 7.4 cu.ft. 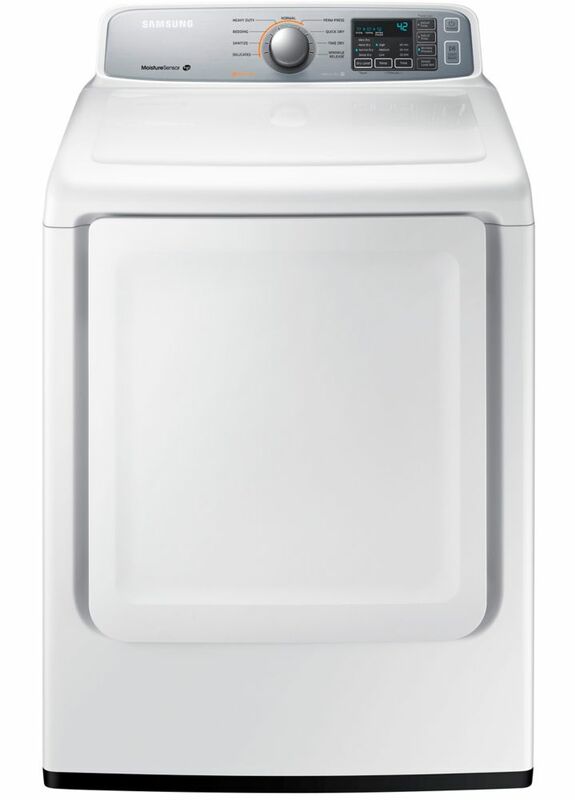 9-Cycle Front-Load Electric Dryer in White is rated 4.2 out of 5 by 716. Rated 5 out of 5 by Rebecca from So far we love this dryer!... So far we love this dryer! Rated 5 out of 5 by Jackie from Does what a dryer should do: dry clothes.... Does what a dryer should do: dry clothes.